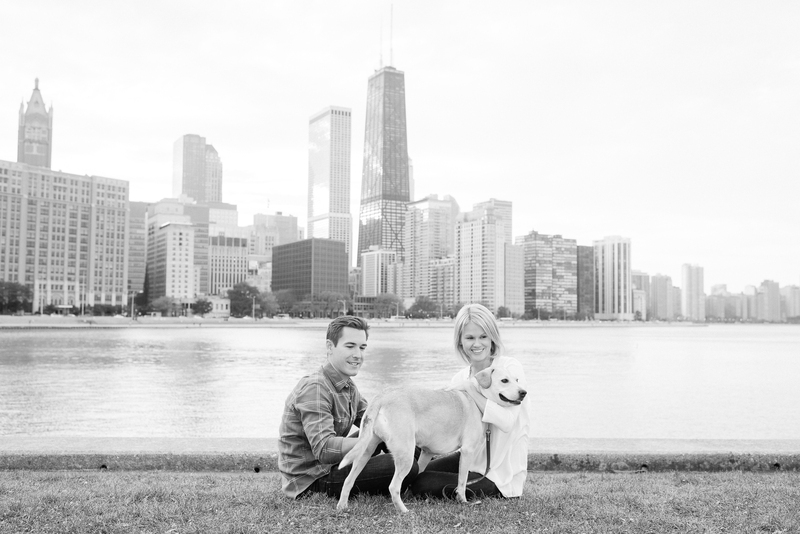 Everyone has a favorite spot in Chicago to soak up the gorgeous skyline. 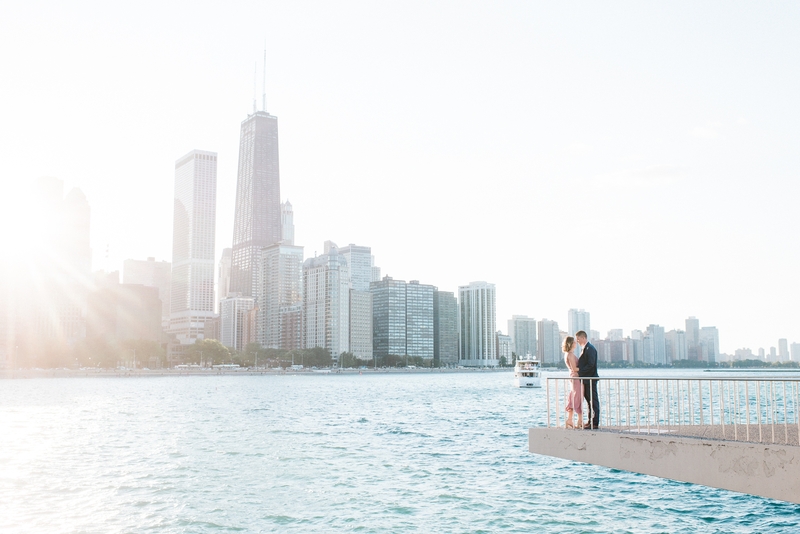 I love all of these locations for different reasons, but without a doubt, these seven places are the best locations for epic Chicago skyline views. ALDER PLANETARIUM : If your heart is longing for the complete skyline view of Chicago, then this is your spot. The views from Alder show off nearly every building that makes up the skyline. 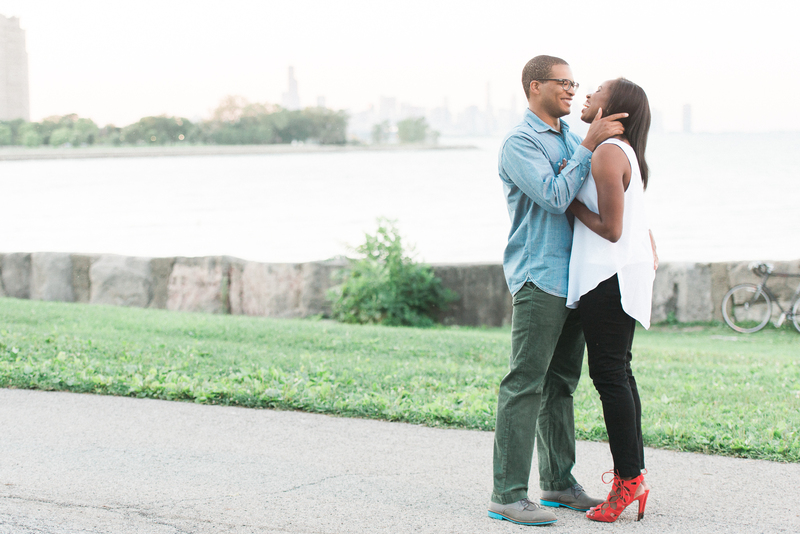 I recommend shooting here for engagement + lifestyle sessions. While it is a gorgeous location for wedding day photos, the harsh light mid-day doesn’t generally work in our favor on a wedding day. 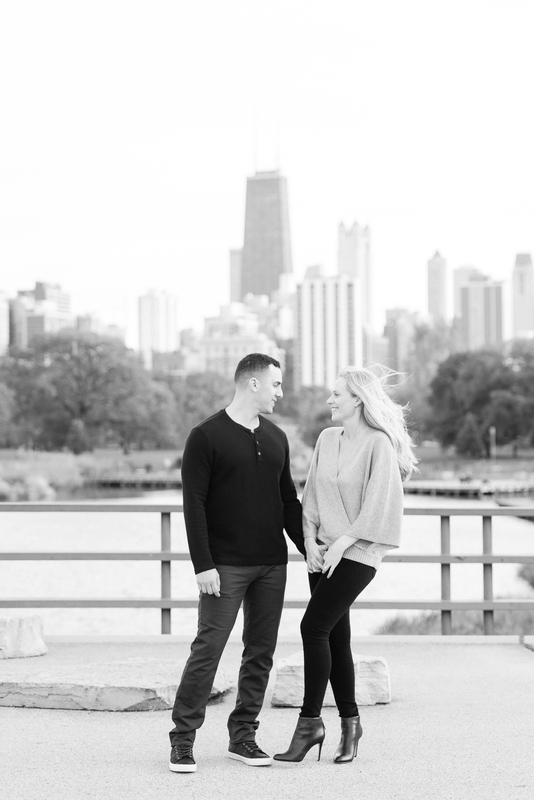 Plus, this place is PACKED with people and tourists … so getting those gorgeous skyline photos with just the two of you can be very tough. 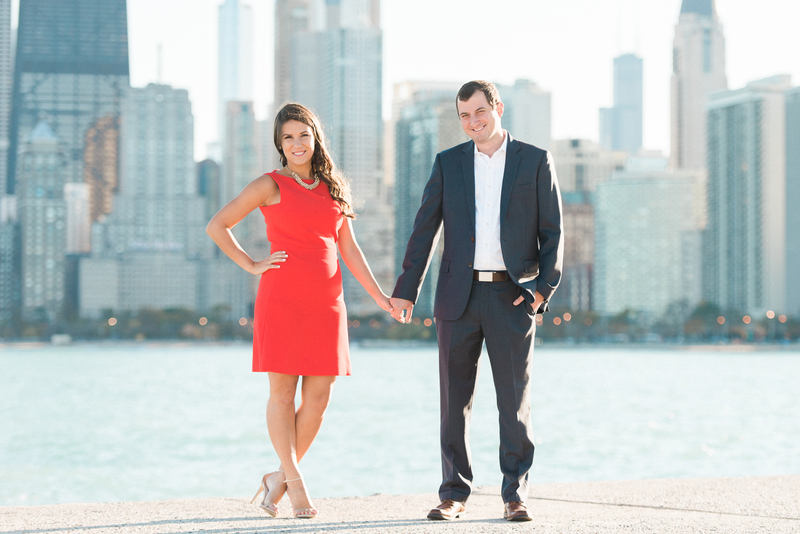 NORTH AVE BEACH : This is another beautiful Chicago location that combines the city with the lake. 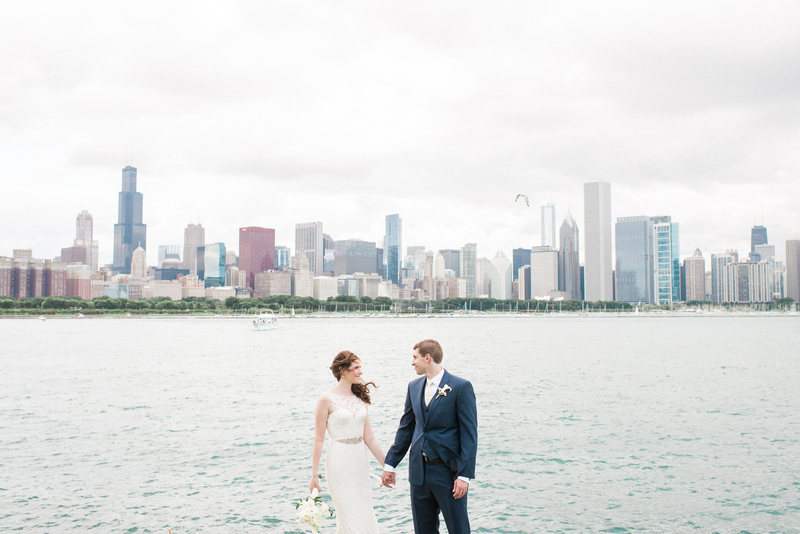 Just south of Castaways is a perfect lakefront path for gorgeous skyline views. 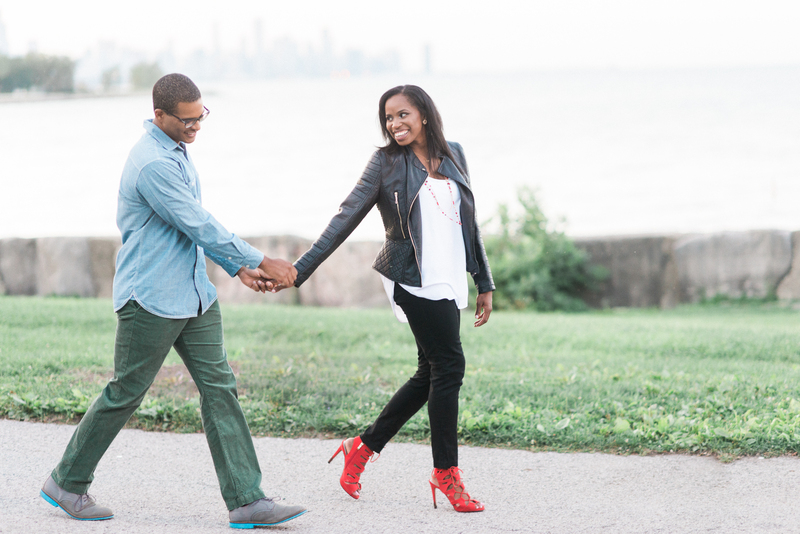 This spot is great for weekday engagement sessions. I would avoid this spot on the weekends (especially in the summertime) when everyone is hanging out at the beach. If you aren’t 100% comfortable with strangers watching you take your photos, this might not be the spot for you because this path gets busy with people in the warmer months. OLIVE PARK : Oh how I adore Olive Park, friends. This might be my favorite spot in the city — especially for skyline photos. 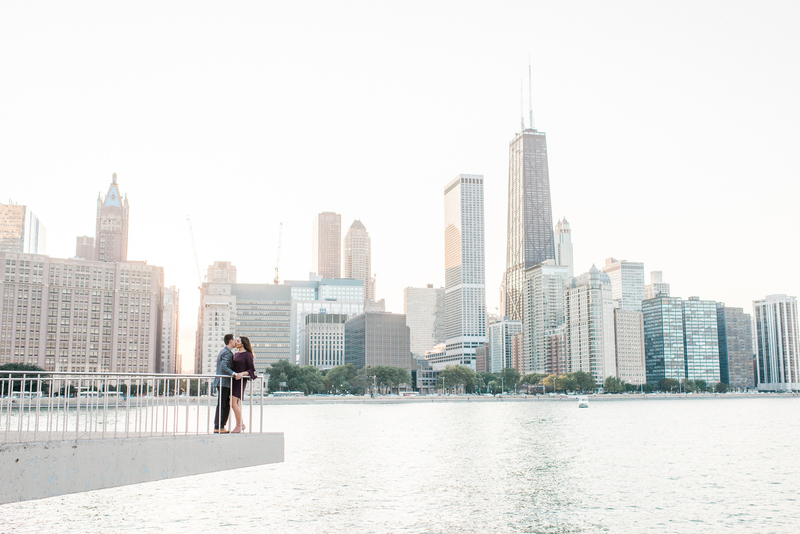 While is might not capture the complete Chicago skyline like views from Adler Planetarium, it always has the best golden hour light (breaking through the skyline) AND it is 100% more private. 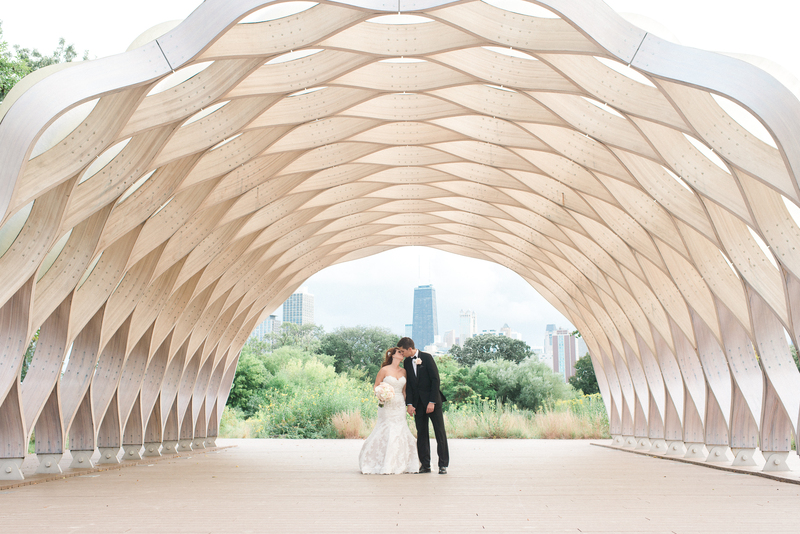 I recommend this location for engagement sessions all the time, and I adore taking wedding photos here because you won’t have 37 tourists lurking in the background of your photos like you sometimes get at Adler. You cannot go wrong with this spot …. I promise! 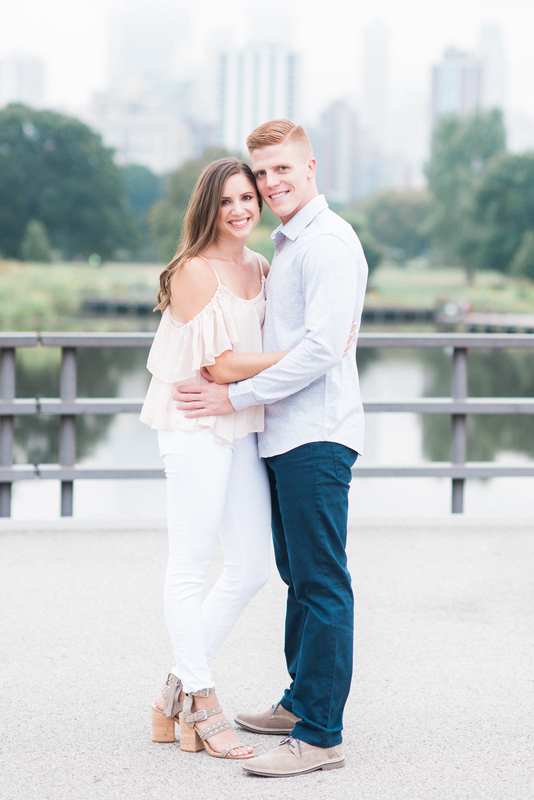 MONTROSE BEACH : Way up north, you can get gorgeous skyline views that show off the city’s beauty at a distance similar to the views at Promontory Point.This is a perfect location for engagement photos and family sessions. 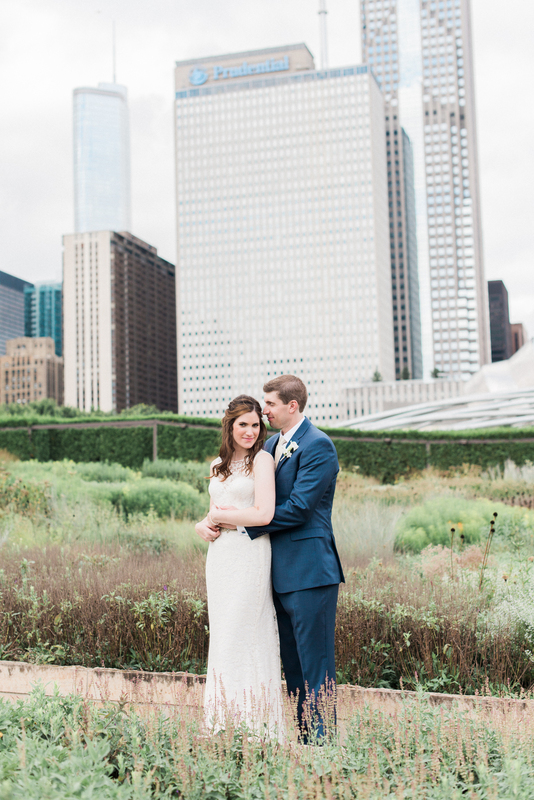 LURIE GARDENS : If you are looking for a little taste of the city AND you want something pretty, this location gets you both! It is a lush, blooming garden tucked inside Millennium Park. I love this Chicago spot for everything. 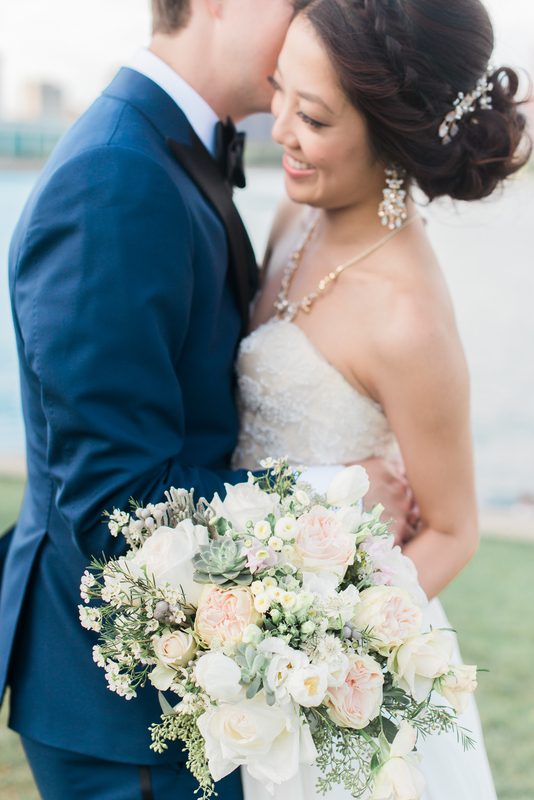 Wedding photos, engagement sessions and just about any excuse to have your photos taken. LINCOLN PARK BRIDGE : Tucked inside the park (and just around the corner from the Lincoln Park Petting Zoo) is this very popular skyline location. 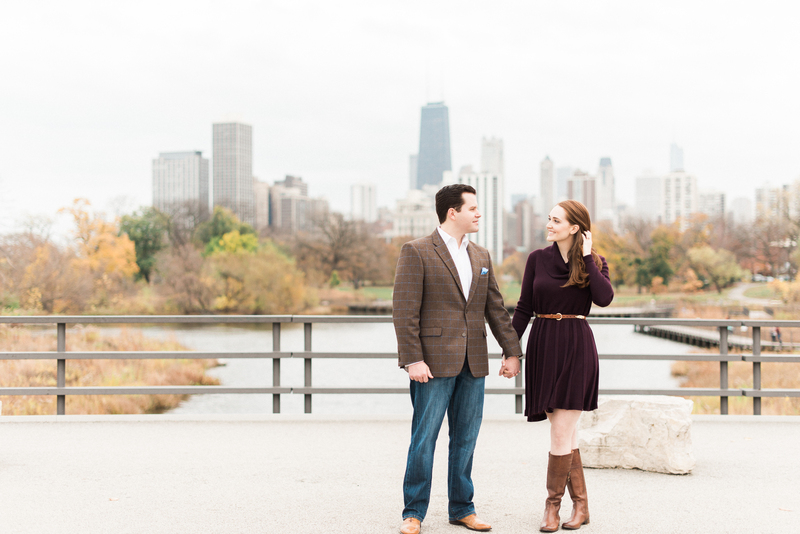 Lincoln Park is a favorite of mine for engagement sessions (you can even find it on my list of the 5 best places in Chicago to take wedding + engagement photos). 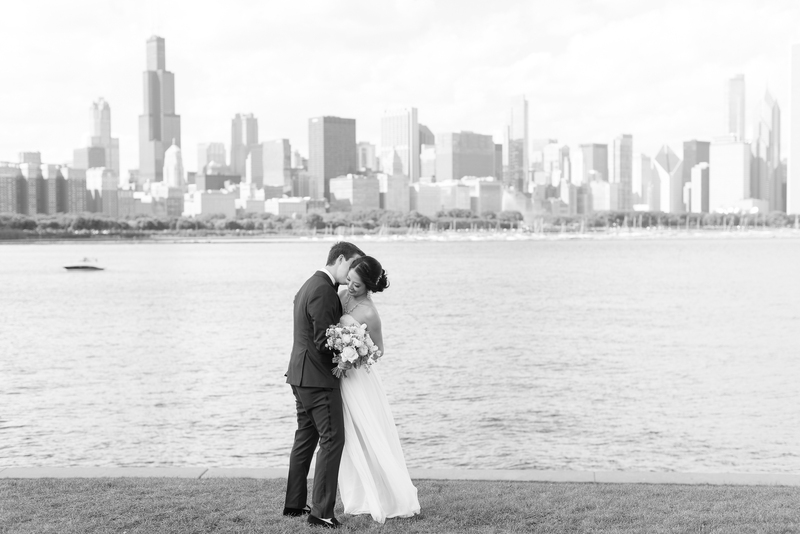 Depending on the time of day for your wedding photos, this location is best when the photos are scheduled close to golden hour so that can use the views as the backdrop. It also gets crowded on the weekends, so don’t be surprised if there is a bit of a wait to take photos here. 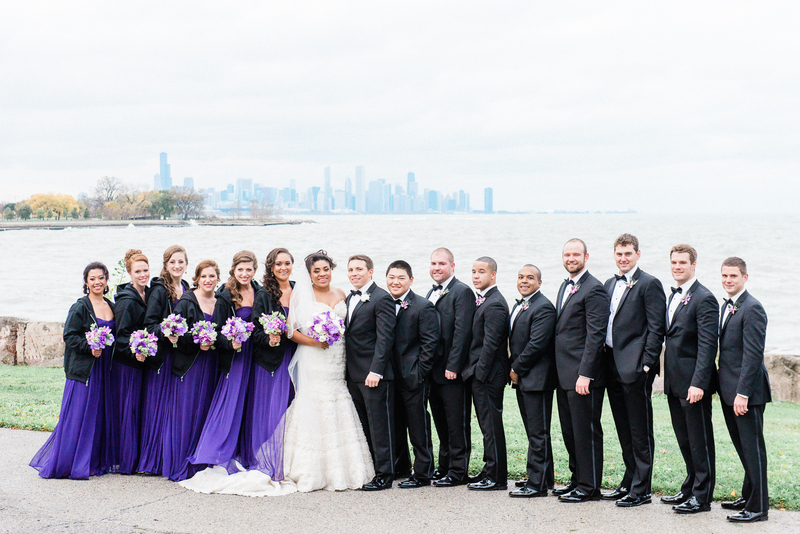 PROMONTORY POINT : Just south of downtown, Promontory Point offers a completely different view of the skyline and Lake Michigan. 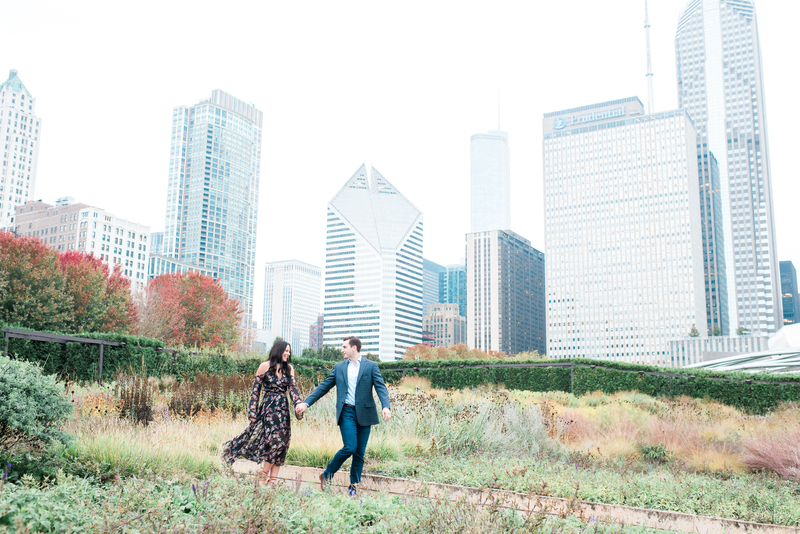 I love this location because it is nestled away from all the hustle and bustle and tends to offer a more private experience for both engagement + wedding photos. And the skyline looks oh-so-pretty at a distance, don’t you think? Where is your favorite location for the perfect skyline shot? To do, friends!